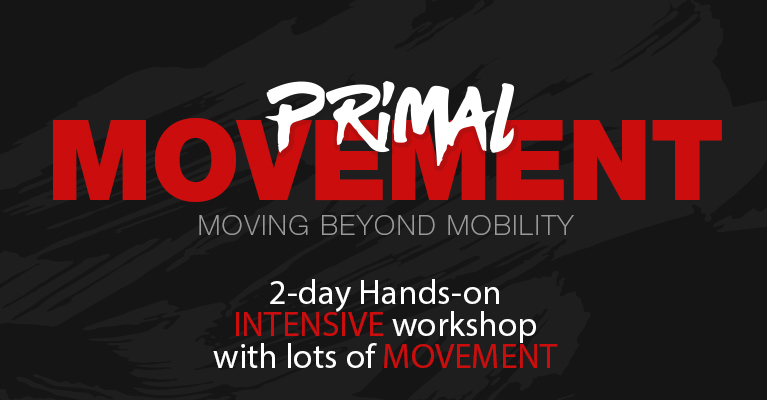 Primal Movement Chains is based on the 20 year experience Dr. Perry has in the movement world. Taking concepts and techniques he uses everyday and teaching you how to unleash strength, power, speed, durability and get out of pain. 16-Hours of brain candy fun with non-stop movement. Learn things you can implement the next day to help yourself and your clients. Come spend 2-Days moving and learning. Get better at what you love to do and change lives with movement. Primal Movement Chains will change the way you move and assess the brain and body. Glute and Psoas Power Zones. If they are inhibited say goodbye to strength. Spirals, circles, and rotations. Power lives here. If you don’t own the transverse plane you are playing for second place. People don’t realize how difficult it is to make it simple. We have taken movement and put it into a simple system to make big changes. Primal Movement Chains is open to anyone and everyone. If you have a body and want to learn how to move better and feel better this workshop is for you. Dr. Perry makes it simple and easy to follow the program. The workshop is appropriate for all levels of experience. No prior training is necessary. No equipment necessary to attend the workshop. Just your body. Dress in comfortable clothes so that you can move easily on the ground. You get the Primal Movement Chain Manual and Stretch Strap. You will also have access to videos of the course techniques. Are there CEU credits for the workshop? No, the workshop does not have CEU credits. Absolutely. Send us an email through our contact us page and we can set one up. Refunds may be issued until 2 weeks before the course.